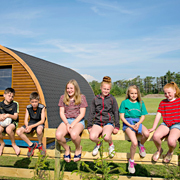 Our glamping pods are set on our 2 acre field. 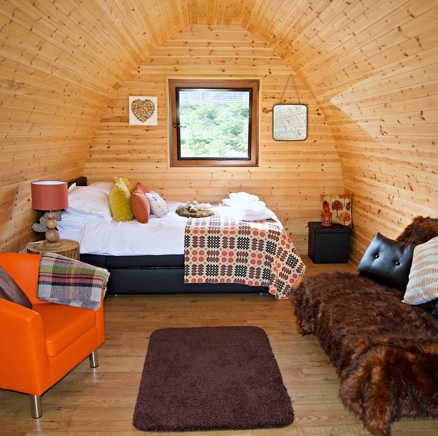 Each pod has a luxury bed with 100% cotton bed sheets, pillows and duvets. Thick welsh blankets and hot Water bottles are also provided along with luxury towels. A perfect pod for couples. Named after the gorgeous beach only 2 miles away. Welcome hamper with Welsh produce. 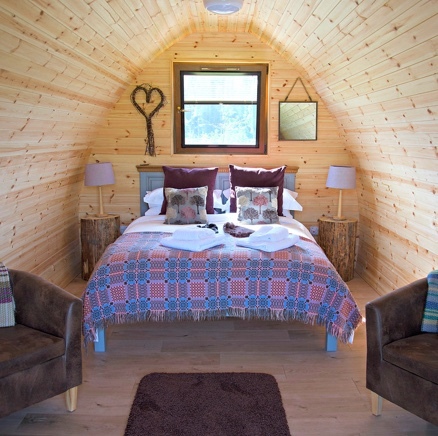 A bright and airy pod ideal for couples. Named after a small beach nearby. Ideal for a family of four. Named after the wonderful beach Whistling Sands which is situated only 2.5 miles away from us! We aim to get every detail just right so that you have a perfect stay. A welcome hamper awaits you which includes local produce such as Jones’s crisps, a bottle of local beer and pink gin. We also include coffee, tea and sugar from Dwyfor coffee. The communial kitchen is free to use and includes a microwave, toaster, gas hob, sink, freezer, washing machine and tumble dryer and high chairs to enjoy a lovely cup of tea. The brand new shower and toilet block are located only feet away from the pods. 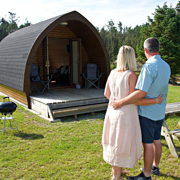 You can cook your supper on the charcoal BBQ's and eat on the wooden picnic tables, then sit under the stars at night in front of the fire pit.Each pod has its own deck where you can sit, relax and enjoy the sounds of early birds in the morning and at night.